Camping Du Bois de St. Hilaire er en campingplads i Chalandray, Vienne, beliggende i et skovområde. Denne campingplads har pladser der er afmærkede, med skygge, uden skygge og pladser med en smule skygge.Det er muligt at leje campingvogne og mobil homes. Campingpladset har et sportsområde. Denne inspektør besøger hvert år Camping Du Bois de St. Hilaire og inspicerer campingpladsen ud fra omtrent 200 faciliteter og andre fokusområder. Inspektøren arbejder for ACSI og arbejder altså ikke for campingpladsen. We've just returned from a week on at this campsite with our 2 children aged 2 and 5 and we loved it! Beautiful setting in the forest which the kids loved exploring. Also great facilities with the play area, crazy golf, tennis and the pool so lots to keep them entertained. Great little bar too serving drinks for us and ice cream and smoothies for the kids. Super friendly owners who made us feel very welcome. Nice quiet site owners are very nice and helpful, a beautiful place to relax with a large swimming pool. This is a superb site. Very relaxing stopover en route to Italy from Brittany. Friendly English couple running the place and lots of shade which was good as it was so hot. Short dog walk on site and good sized pitched. Given the location it was quite expensive for a stopover and we might have stayed another night had it been a little cheaper. To be fair there were facilities which we did not use but might justify that cost. What a gem! Delightful camping amongst mature trees. Very spacious pitches. Good clean facilities. No need to be pressing buttons during your shower, just switch on and go. Water nice and hot. Lovely village with boulangerie and well stocked SPAR within easy walking distance. Friendly new English owners (Henry and Kat), couldn't be nicer. Nice walking routes in the area. What a fabulous find. We were sorry to have to leave and will definitely be back. What a gem of a site! Simple, slightly rustic, but with huge pitches, all with electric hookups, set among dense woodland of oak and fern, honeysuckle and broom with woodland walks and the sounds of crickets, cuckoos and a host of birdlife. This is a rural French delight unspoiled by the ritzyglitzy megasites around this part of France. This is what makes it special, while the British owners who bought the camp site two years ago and have been become with their children part of the local community have a totally hands-on approach. We should also mention the incredible quality of the FREE wifi connectivity - Madame Mayor after battling the authorities and providers finally got high speed cable broadband into her commune of 700 and connection at the site is actually FASTER than BT provides us with their so-called \'premium\' connection in the centre of Plymouth. Vivre le France et Mme le Maire au Chalandray! The bar serves two varieties of draught bier - including the challenging Grimbergen . . . Currently, the UK TV series Escape to the Sun has been recording a programme about their experiences of acquiring the site, while in a few days (from the time of writing - May 25, 2018) they await the visit of the inspectors who decide what category the site should be listed as. Currently, it is a lowly - much too lowly! - 1 star, and they hope for an uplift to three. And we would support that wholheartedly. Vil du booke Camping Du Bois de St. Hilaire eller have yderligere information? Det kan du via nedenstående oplysninger eller via campingpladsens hjemmeside. Følg fra Poitiers N149 i retning ad Partenay (v.v.). Følg i Chalandray D24 i retning ad Vauzailles. Campingpladsen ligger på højre hånd efter 750m. 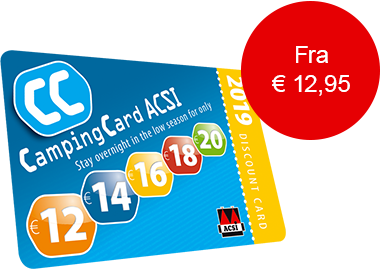 ACSI Eurocampings sender din forespørgsel videre til "Camping Du Bois de St. Hilaire".